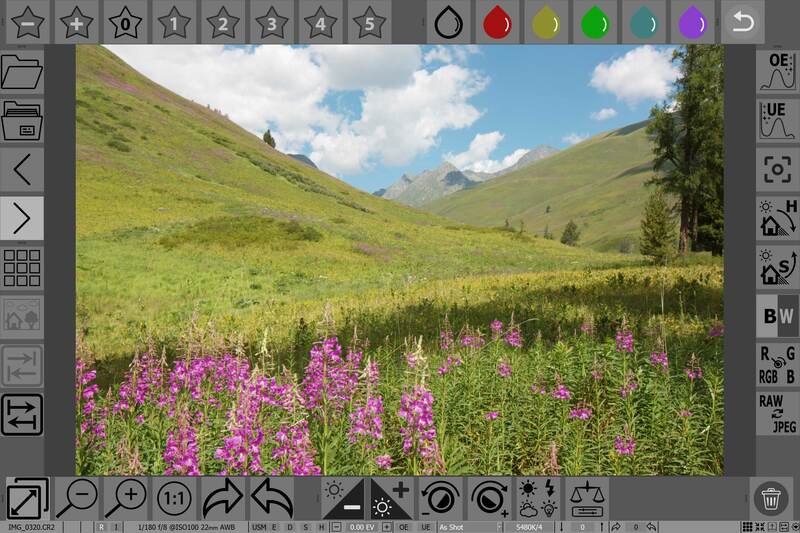 FastRawViewer for Windows 7 – 10 supports the Touchscreen interface. This support is disabled by default; one can enable it via Preferences – Interface - Touchscreen – Enable Touchscreen features. Turns down the brightness of the current image while the program is preparing the display of the new image (decoding it and loading it into the video card). This gives visual feedback if working on a slower tablet to indicate that switching between images is in progress. Single finger pan to switch – allows one to switch images with one finger gesture from left to right). If the zoom is larger than Fit to Screen, instead of switching images the current image is scrolled.